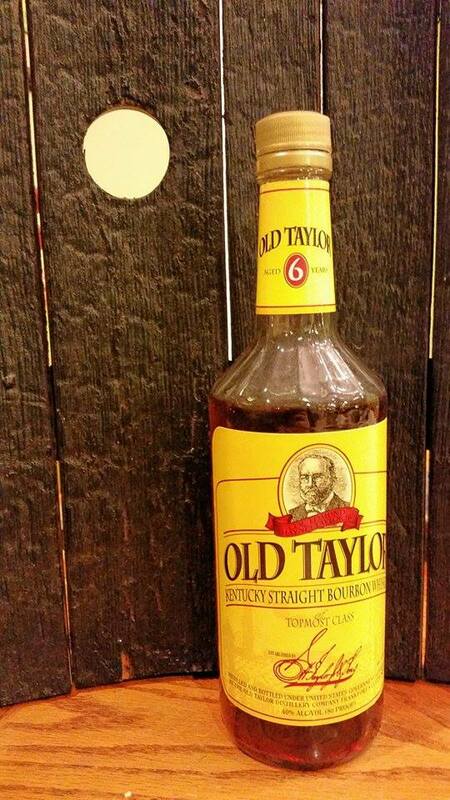 The Old Taylor brand of Kentucky Straight Bourbon Whiskey has been around for quite a long time. It’s namesake, the revered Col. E. H. Taylor, Jr., was one of the most influential characters in the history of our much loved spirit. We briefly spoke on him and his role in the American antebellum bourbon boom in the late 1800’s in our most recent full podcast on Prohibition, Part 1. Of particular note today, he essentially invented bourbon tourism, and much more information can be found in the classic book The Social History of Bourbon by Gerald Carson. Interestingly, some fellows have taken it upon themselves to restore to grandeur his original distillery in Woodford County, Kentucky. But I digress. This is a battle between Old Taylor 6 year from 1985 (A Product of Jim Beam Distillery) and Old Taylor 6 year from the present day (Please note that the age statement has been dropped from Old Taylor at the current time, but there are still some age stated bottles out there to get your hands on before they’re gone for good). The present day bottle tasted below is LIKELY still a Jim Beam distillate, but I can’t be certain. In 2009, Buffalo Trace (Sazerac owned) bought the Old Taylor brand and then-current stock of barrels from Jim Beam (now Suntory [Japan] owned). This bottle being less than 4 years old is why I say LIKELY still a Beam distillate. Nose: Nose a little flat, nothing overtly offensive; surprising for an inexpensive low-middle aged bourbon, low proof so not much alcohol sting either. Taste: Flavors mostly decent. No overriding bad taste, actually, but just low on flavor in general which also is partly a function of the proof as well. HINTS of MILK chocolate and a trace of caramel, as well as a very slight hint of roasted or grilled corn removed, but not too far removed, from a young moonshine corn flavor, some wood flavors without being too overbearing or unpleasant. Long story short, there’s much worse out there in bargain bourbon land. After a couple drops of water and a minute to sit, the nose actually really opened up with rich smooth aromas of the flavors that were only hinted at in the tasting. The nose after a little water was very surprising, one expected of a much more expensive bourbon. Sadly, the taste did not improve with this. Not surprisingly less bold flavors, very lackluster. Drink this neat or on ice after you’ve already had a few drinks of your favorite bourbon that night. Save it for mixing with Coke, or for after you’re already a sheet or so to the wind. Rarity: Albino squirrel, but getting rarer as the age statement has been dropped. Taste profile much bolder and richer tones of the same listed above. Smooth with a relative absence of the corn flavor and much less wood flavor. Still strong chocolate. I was blown away at what probably cost $8 in 1985 could easily sell for $25-30 today with a taste profile like this. Rarity: Unicorn (good luck finding a bottle of almost ANYTHING from 1985). To sum up this little jaunt into the Old Taylor brand, What we’ve got here is a modern business issue. Lower the proof, produce more bottles. Lowering the proof also keeps the retail price down. Give and take. 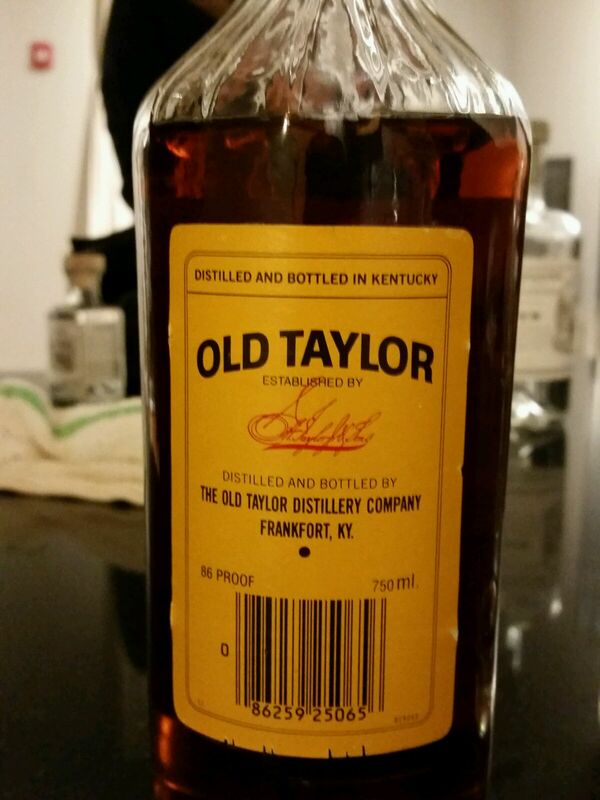 Additionally, after a lengthy search, it wasn’t apparent exactly when the proof was lowered on Old Taylor 6 year, though it may have been when Buffalo Trace began bottling it (~2009). After these tastings, I can say for sure that I wish they hadn’t. To all our Bourbon Evangelists, Cheers! I believe I have a bottle of 1985 Old Taylor but it says 100 proof. Has tax stamp red with atf. Unopened. I am willing to share pictures if you can give me better information on the bottle and its value. Thanks in advance for your time and consideration. That sounds excellent, and tasty! Send us some pictures to our email chris or darren at our url dot com. 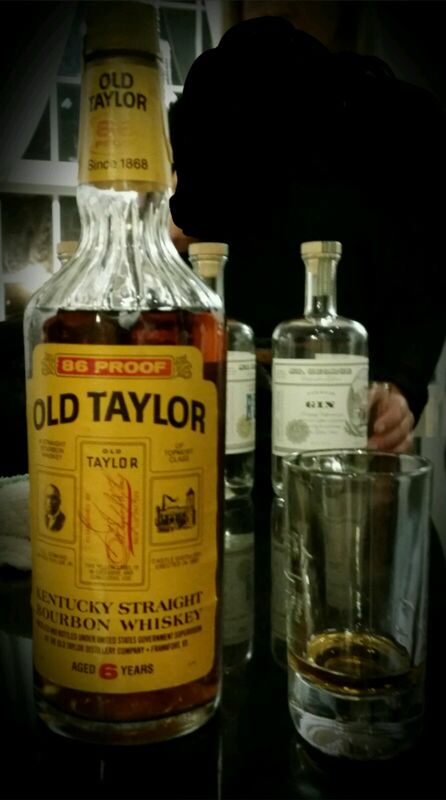 I’ve tried a bottle of 1986 Old Taylor 86 proof that was aged 6 years. They did things better back then…sigh. Great review. With inflation $8 in 1985 is probably $25 today, though. I have two bottles of Old Taylor that is 86 proof with the age on the bottle. One is opened one is not. My brother and I opened in 85 and took a couple of shots and let me tell you we were bent like an elbow!!!! After my pops tore our butts up it sat untouched until today. I will share pictures.